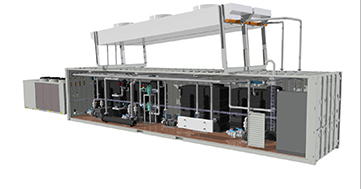 Specials | Dutch Thermal Engineering n.v. 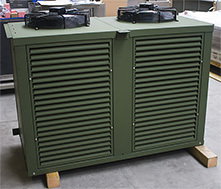 Recently we delivered a special made water cooling unit for the cooling of a mobile army datacenter. This is an ECO-mode system with free cooling possibility for cold periods. Suitable for 15kW cooling power and ambient temperature of -32°C>Ta<45°C. 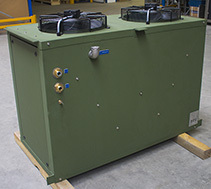 We also delivered a special made compact water cooling unit for cooling of a datacommunications container with External DryCooler (ECO-mode). 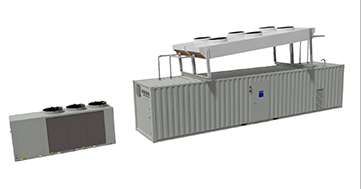 This unit will be built into a container with very limit space and has in total 2x37kW cooling power and is suitable for an ambient temperature of -40°C>Ta<50°C. Recently we build a complete 40″ container for cooling of injection moulding machines. 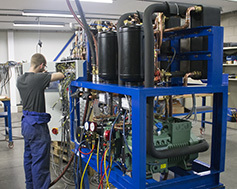 The installation includes a condensing unit, water tank and pumps. 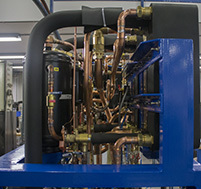 Wit a capacity of form cooling 250kW, 180kW free cooling and 180kW oil cooling. All pure water, no glycol with automatic drain function in case of frost.